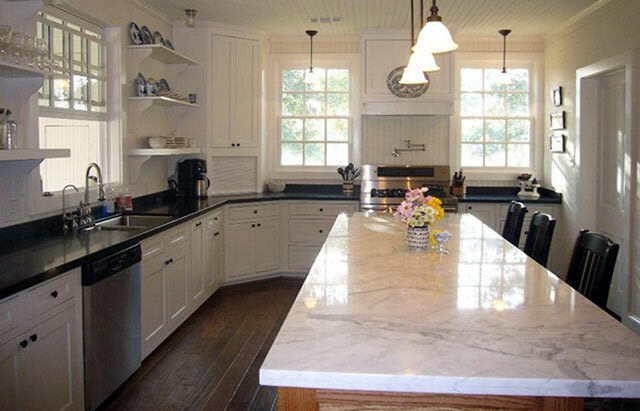 When it is time for you to pick out your dream kitchen cabinets and countertops, The Stone Cobblers is the place to go. 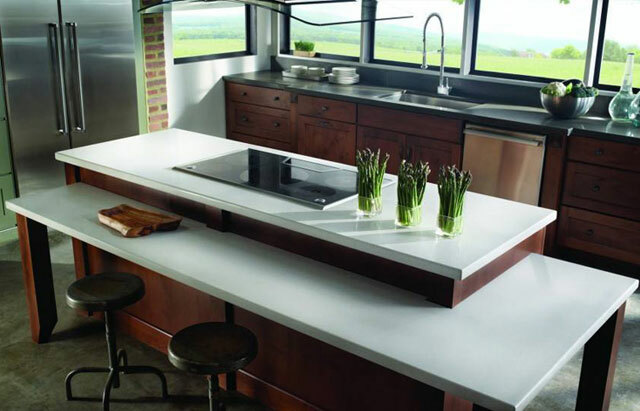 We have over 30 years of experience in designing kitchens and baths, and fabricating stone countertops. Our family owned and operated business is known for the quality, care and passion we put into every design. We are the experts who can help you create the home of your dreams. Here in our West Boylston ( MA ) showroom you will find kitchen cabinets and countertops along with bath cabinet options you can dream of. 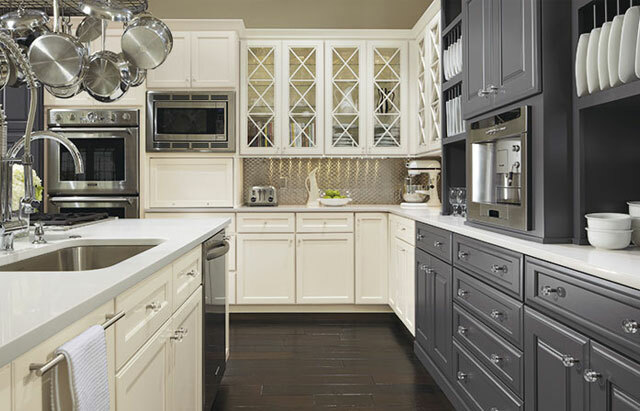 Our helpful designers can show you the many styles and colors available in cabinets, quartz, and granite making the design process something you can enjoy. After all, it is your home, you should enjoy it! We take the time to learn about your goals and listen to your ideas. Our designers and professional stone installers will be with you every step of the way, to see your project through. The Stone Cobblers is a place where you can feel comfortable asking bath or kitchen cabinets and countertops questions, while learning about the design process. We don’t just sell kitchen and bath cabinets and countertops, we want you to achieve the space of your dreams! Visit our showroom and see our full line of In Stock Vanities and ready to go vanity tops. 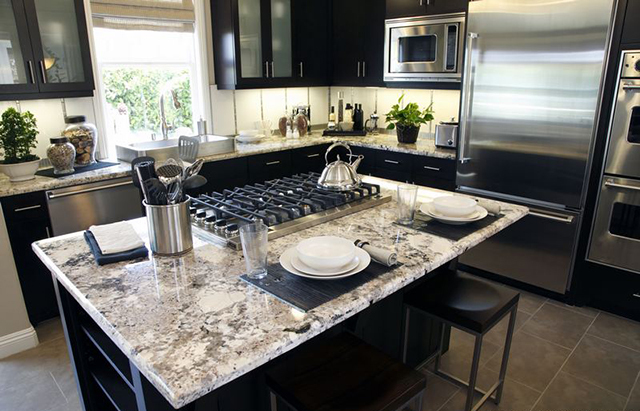 Granite is a very versatile stone. 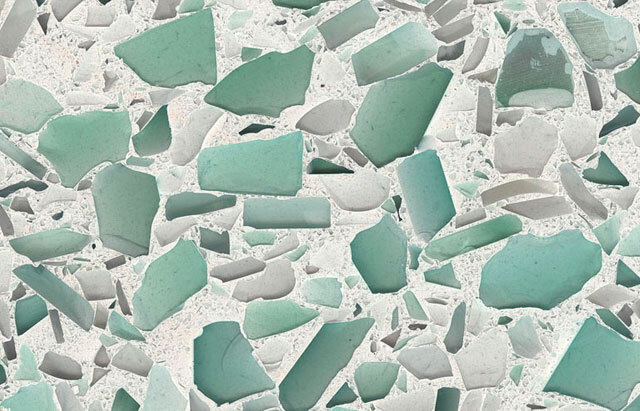 It comes in an almost limitless variety of colors, textures and veining patterns, providing you with endless options. Quartz is second only to diamonds in hardness, and has many color options that traditional stone just can’t match. The elegance and subtle beauty of marble can transform your home into something remarkable. Our new digitally controlled Saber CNC saw allows us to cut your countertop with precision, speed and quality. Our experienced kitchen designers will help you make your ideas a reality and explain the process along the way. 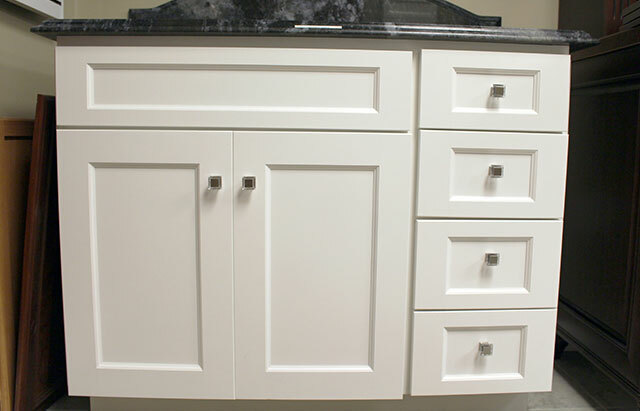 We can find you the perfect vanity cabinets for your bathroom and supply the counter as well. From something small and efficient to the grandest kitchen island, we carry the products to build you your dream workspace. 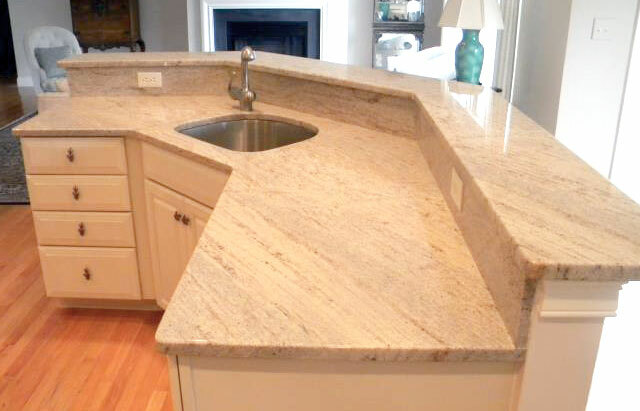 The Stone Cobblers of West Boylston, Massachusetts designs and installs custom granite, quartz, and all-natural stone for your countertops, vanities, fireplace surrounds and much more. Our focus is on high quality craftsmanship and customer service, and it shows… Check out our INSPIRATION GALLERY to see for yourself!